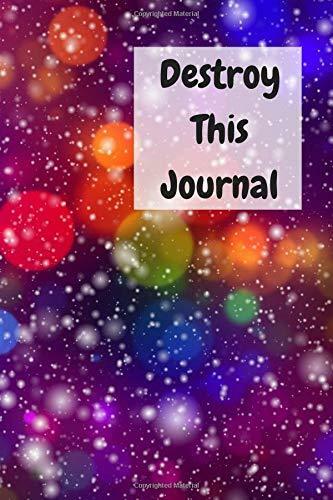 Destroy This Journal: Creative And Quirky Prompts Make This Journal Fun To Complete For All Ages. Create, Destroy, Smear, Poke, Wreck, Cut, Tear, Give Away Pages But Always Make It Your Own, Enjoy And Relax. File Name: Destroy This Journal: Creative and Quirky Prompts Make This Journal Fun to Complete for All Ages. Create, Destroy, Smear, Poke, Wreck, Cut, Tear, Give Away Pages But Always Make It Your Own, Enjoy and Relax.